Back again with some more questions to ask yourself. There are many things to think about before choosing a planner. The first thing would be to ask yourself why do you need a planner in the first place? Is it because everyone has one and the Youtube videos out there are cool to watch, and make you want to have one? Or do you really need one to get your life organised? Are you planning for yourself or others too? elderly member of your family? If so you should think about the writing space you need and how many appointments you have in one day. About all the things you need to keep track of. Is your handwriting big or small? Would a Month on one 2 pages do? A week on 2 pages? 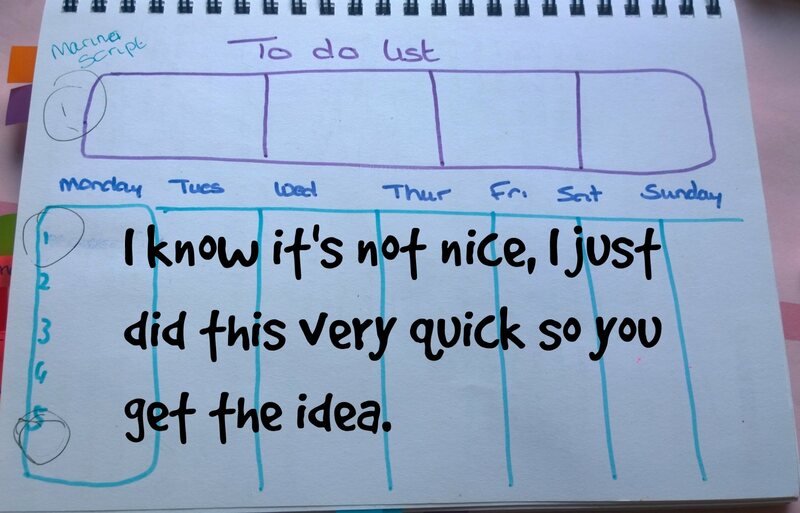 Do you need to have the hours written down so you can plan your day out better? Or loads more space like on a day on 1 page? 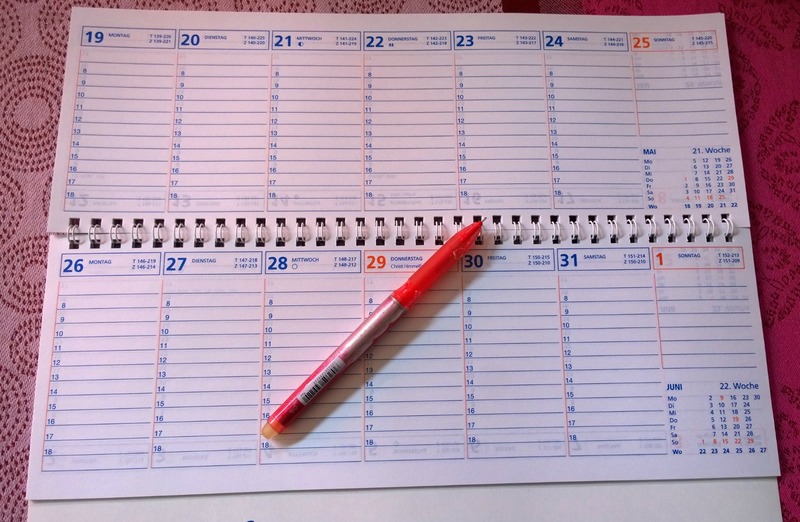 The size of your handwriting plays a role in choosing a planner. If you have large handwriting then a small planner might not do. You will not have enough space to write all your appointments down. It then tends to get messy and appointment could get lost. Next question would be do you want to carry your planner around with you everywhere (I strongly advise you to do so) but do you really ought to? An A5 sometimes gets heavy after a while but perfect if you only have to carry it too and from work. Would a personal be enough, this fits nearly in every hand bag and is easy to carry? I wouldn’t take an A4 with me unless you have a big enough hand bag and a very thin planner. It’s brilliant if it just stays on your desk in the office so that your personal assistant can write in it also? 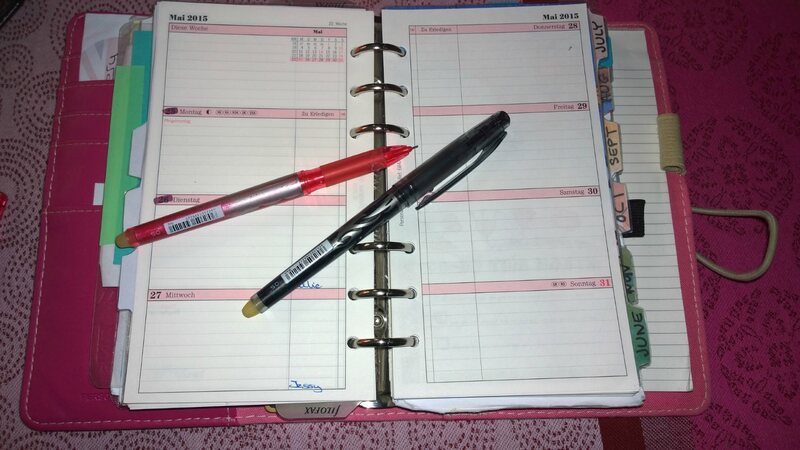 Would you prefer a ringed planner a bound planner or a spiral one? 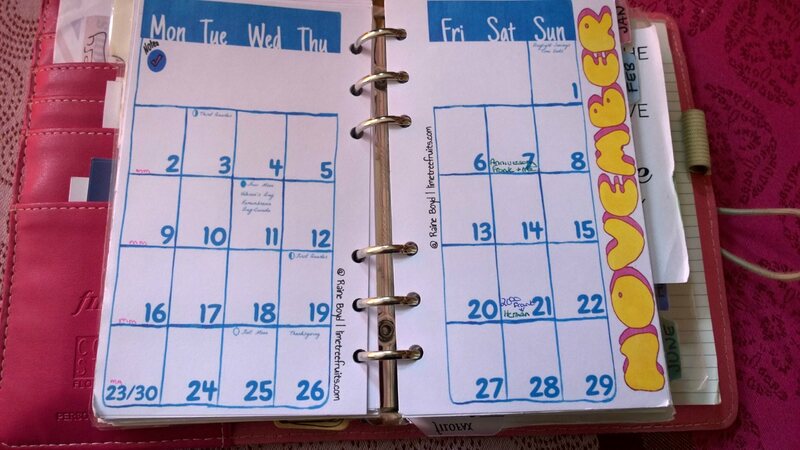 My very first planner at school was a bound one, then when I started direct sales I had a ringed planner. With the ringed planner I was able to add folded A4 pages to my A5 planner. Also it was good for parents evening. You never left one with out loads of pages to take home with you, I kept them in there for safekeeping. 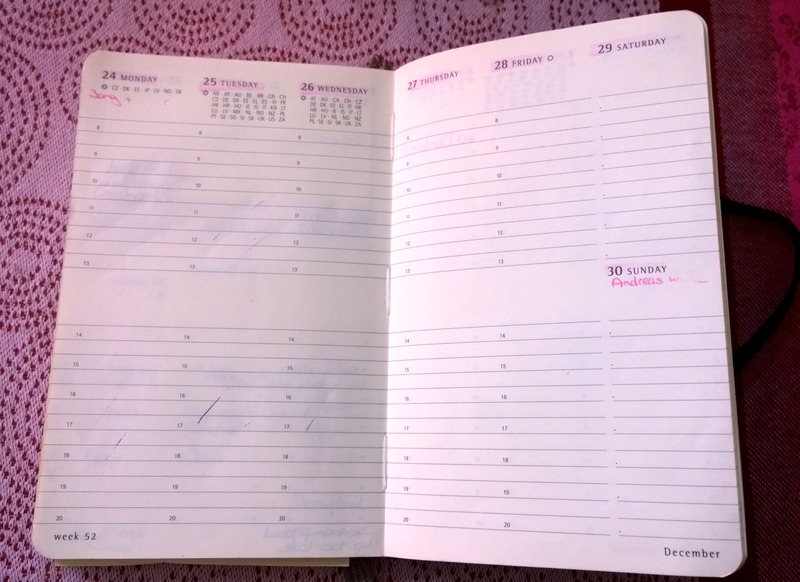 When I started teaching English I went back to a bound planner, a Moleskine Which I loved. My first one was a day on a page pocket sized. I could then write down my student names and what I taught that day. I only had that a year then Moleskine came out with a cool week on 2 pages vertical planner in pocket size. I used to carry this around with me everywhere for 3 years before it became too small and I moved on to a School planner and a Filofax personal. 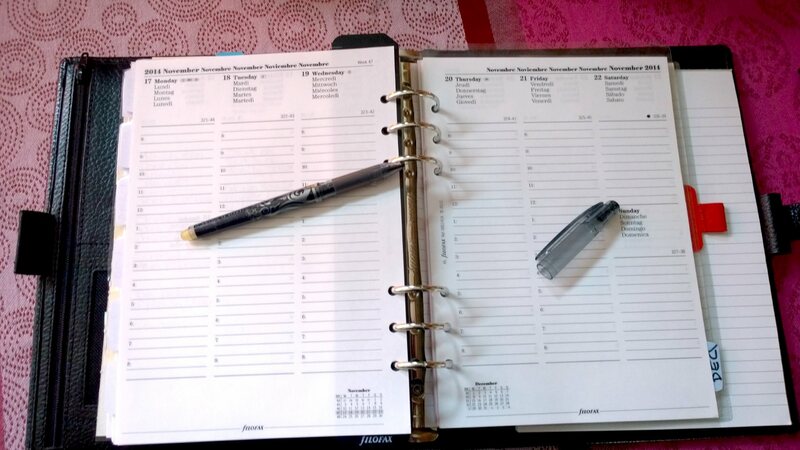 Do you need to add pages to your planner? Would you like to download your own inserts then a ringed planner the best for you. There are so many planners out there, so think carefully before you buy. 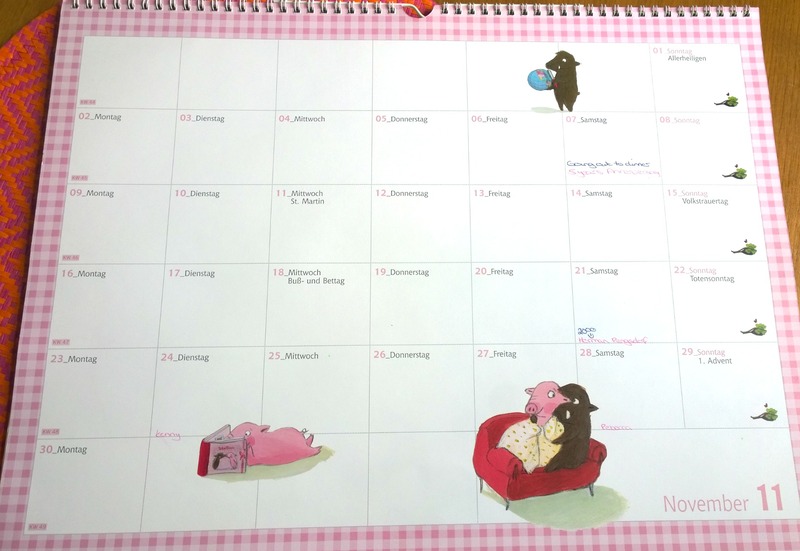 If this is your first planner then I would advise you to start off with a cheaper planner. 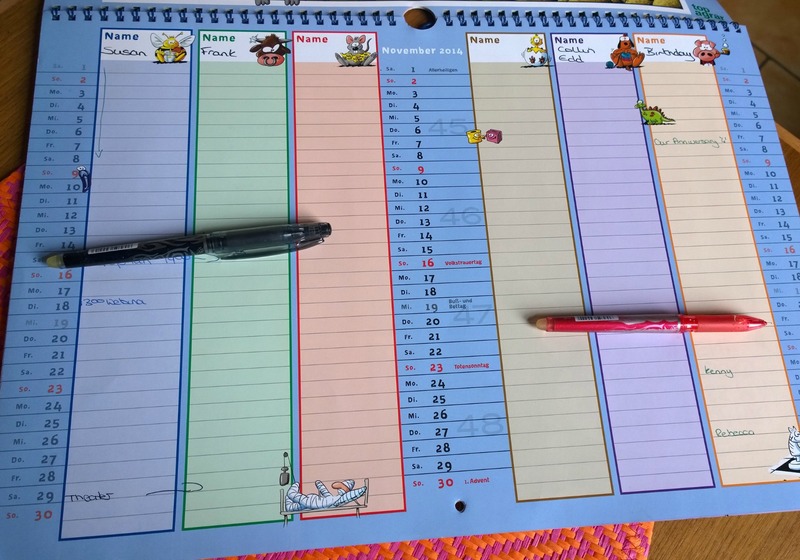 Just so that you get used to writing down your appointments and getting used to the layout of your planner. You never know if you are going to give up on this whole organising your life thing do you? Plus who knows is you and your planner fit together, you might not be a perfect fit. Then say in 1/2 year, (I was going to say a year but if you are anything like me then you will change the one that you really want) when things have gone smoothly then you can more on. But don’t go wasting money if you are not going to use it. Also keep in mind what use is a planner from the US if the holidays are not the same as in your country. A planner with the right holidays is important. Yes you could write them down your country’s holidays, but if you’re just starting out that would mean extra work. Let’s keep things easy. Should they all have their own space in your planner? Do you want to mix their appointments with yours. This is our wall planner as you can see we’re only 2 people at the moment, we used to use it for hubbies mother too, plus the dogs. I always forget this nice and easy cheap planner. Why not take a book that you like and make your own. You can have it the size you like. All you need is paper, pen and a ruler. Draw the lines you would like, add in the dates and there you have it. Easy. What planner are you using or going to buy? This post contains affiliate links. This means that I may receive a small commission (at no cost to you) if you subscribe or purchase something through the links provided. You will never see me post a link to a product or service that I haven’t used myself and love!